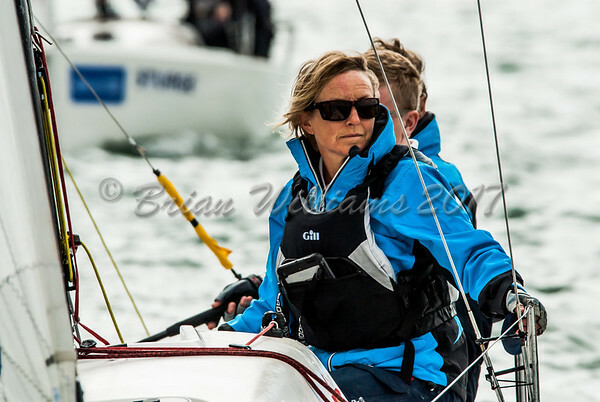 "The opening day of Lendy Cowes Week dawned with bright sunny spells and a westerly breeze of around 10-15 knots. However, a weather front that gave rain to most of southern England moved across the race area at lunchtime, depressing the wind strength. The result was intensely tactical racing with persistence, along with good – and occasionally brave – decisions needed to achieve top results." Rupert Holmes /Cowes Week Ltd.